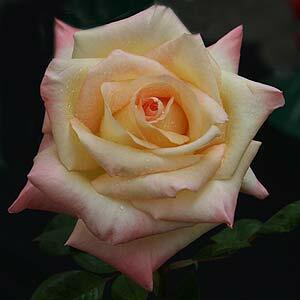 With wonderful soft pastel colours, ivory white with a strong pink blush, Diana Princess of Wales Hybrid Tea Rose is named after the late Princess Diana this is a lovely commemorative rose bush well worth a place in the garden. The flowers are well formed and with good large glossy green foliage this is an excellent for the garden and is also suited to growing in a container. Bred by Jackson Perkins, Diana Princess of Wales Hybrid Tea Rose is a Pink repeat blooming rose with a slight fragrance. Long stems and large flowers make this an excellent choice for cut flowers. Reaching a height of around 1.5m as a bush rose,with large deep green foliage, Diana Princess of Wales is also available as a standard. The easiest way to buy the Diana Princess of Wales Rose is as a bare rooted plant during winter.